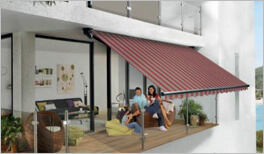 When you buy an awning with us, you will automatically get an installation too! View some of the awnings we have supplied and fitted throughout the South East. Call our friendly awning engineers today on: 01732 809 341 to organise a visit, quotation and measurements. Based at Wrotham Heath between Maidstone and Sevenoaks, 1st Choice Awning Specialists is an independent, family run company that supplies and installs beautiful awnings for properties across Kent, Surrey, Essex and South East London. 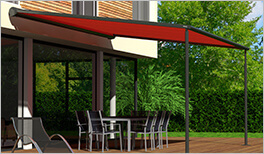 When you want to spend some time outside, but don’t want to get burned by the summer sun, or rained on during your weekend barbecue, then a garden patio awning is the perfect solution. 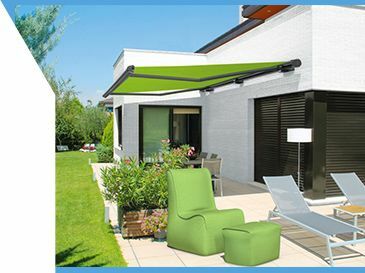 Acting as an extension from your home, our range of domestic pull out and electric awnings create a cover that gives you a place to keep cool during the summer months or dry during the winter. Not only will we supply your house awnings, but we will come to your home to measure and install it as well. 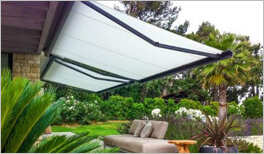 It’s important to make sure your electric or retractable awning is installed correctly to ensure it has the longest lifetime and looks its best. Our experts are highly experienced and will provide a professional installation of any balcony or patio awning you require. 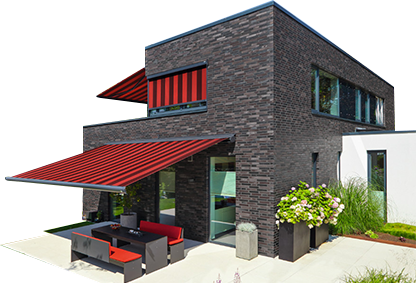 If you want a beautiful finish to your garden with our range of Markilux retractable awnings, then speak to the experts today on 01732 809341, or through our contact form and we will get back to you as soon as possible. Our friendly and helpful team will be on hand to go through any requirements or questions you have and ensure the right Markilux awnings are chosen for your property. The Markilux products that we supply and install are not only easy to use and extremely strong, but complement your home and garden as well. They are vibrant and, across the range of products that we supply, there are many different colours, sizes and frame styles. Whether you want a steel link chain, a hinged bracket or roller tube, we will supply and install the perfect solution. What we give you is the ability to enjoy your outdoor space without worrying about the elements too much. If it starts to rain, our range of manual and electric pull out awnings are easy and quick to use giving you protection from the elements. When the sun’s too hot and you want to sit out and read a book, or chat with friends, our range of domestic awnings can save you from sunburn. 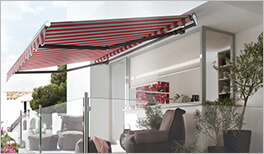 Our expert engineers will measure and install your markilux awnings at your home, when and where you need it. The range of domestic garden awnings that we supply and install will transform your outdoor space, giving you more room, a shaded area during the summer and a barrier against the elements. Our range of garden patio and balcony products come with a variety of customisation options, from rollers to hinges and arms, all with vibrant fabric covers. Working throughout Kent, Surrey, East Sussex and South East London, we reach areas including Sidcup, Erith, Gravesend, Swanley, Dymchurch, Beckenham, Bromley, Whitstable, Aylesford, New Romney, Bromley, Bexleyheath, Tonbridge, Dartford, Tunbridge Wells, Ashford, Maidstone, Charing, Hollingbourne, Harrietsham, West Malling, Bexley, Rochester, Sandgate, Faversham, Sittingbourne, Strood, Chatham, Orpington, Ashford, Longfield, Sevenoaks, Hythe, Margate, Herne Bay, Canterbury, Sheerness, Gillingham, Folkestone, Dover, Ramsgate, Broadstairs, Queenborough and Sheppey. If you have any questions, make sure you contact our team on 01732 809341 to learn more about our vast range of patio and balcony retractable awnings.